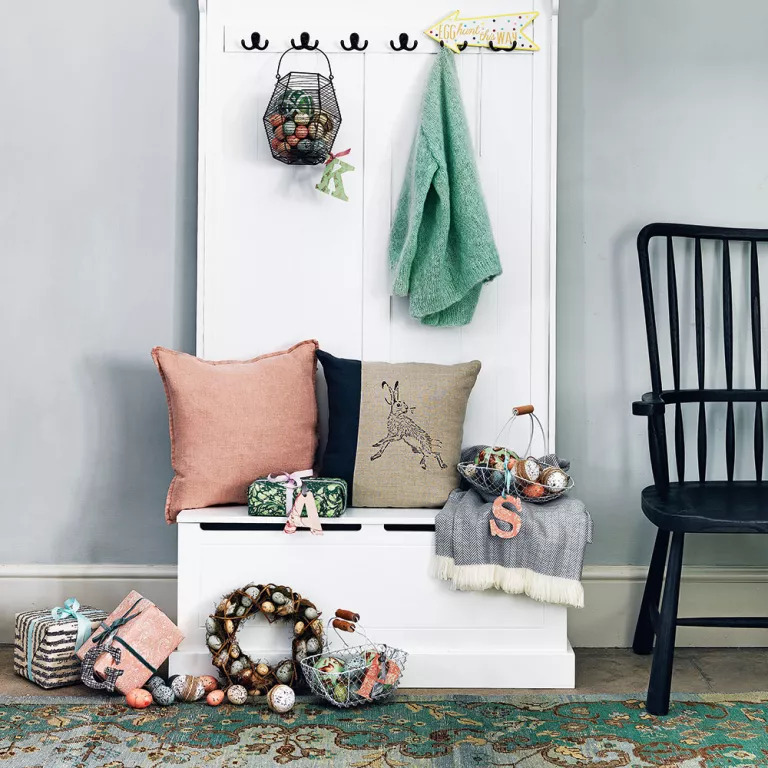 Bring some of the sunshine and energy of the new season into your home with our Easter decorating ideas. 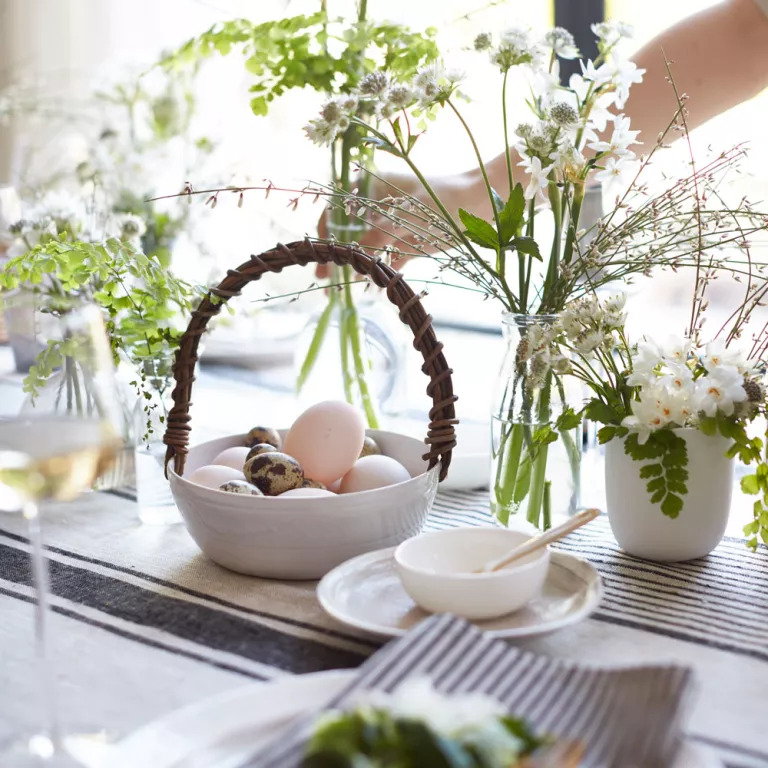 If you’re entertaining for the whole family this Easter, then you’ll want to create a perfect springtime setting that everyone can enjoy. 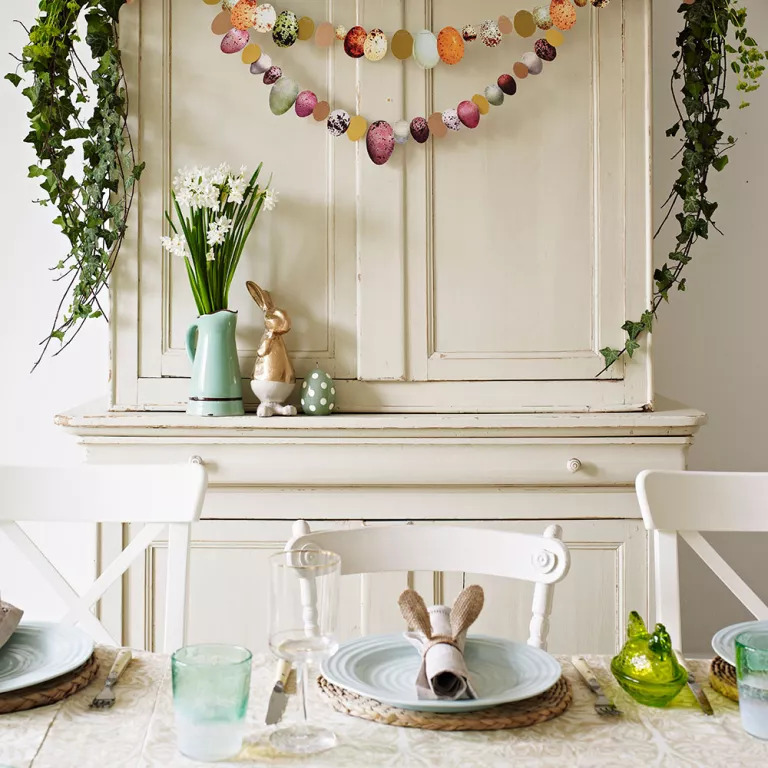 Follow our guide to achieving traditional Easter decor in your home with themed tableware, homemade accessories, and beautiful displays. The best place to start your new decor is with the table setting. Choose vintage-style touches, such as China with faded floral designs and vintage glassware. Build a pretty display of springtime flowers to create a striking centerpiece that will wow your guests. Add on traditional Easter extras such as painted eggs in teacups, bowls or even piled high in jars. 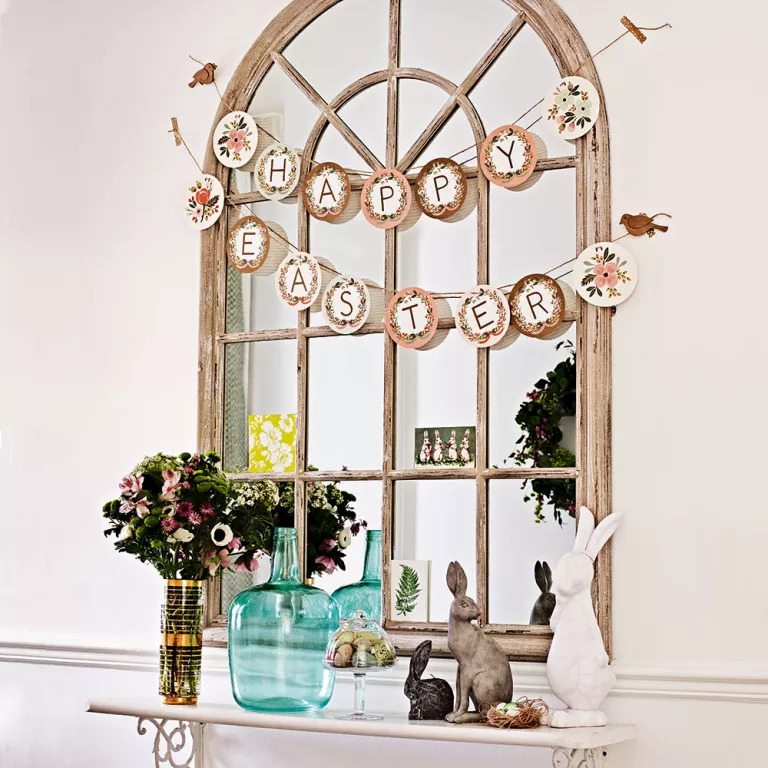 Use your regular homeware to make a unique Easter display. A cake stand is a perfect place to display ornamental birds, bunnies or homemade gifts. Fill bell jars and lanterns with eggs and flowers and place homespun decor on tables and chests. Flowers in eggcups or teacups filled with eggs and pretty displays of blossom and tulips will finish off your egg-star special Easter theme! 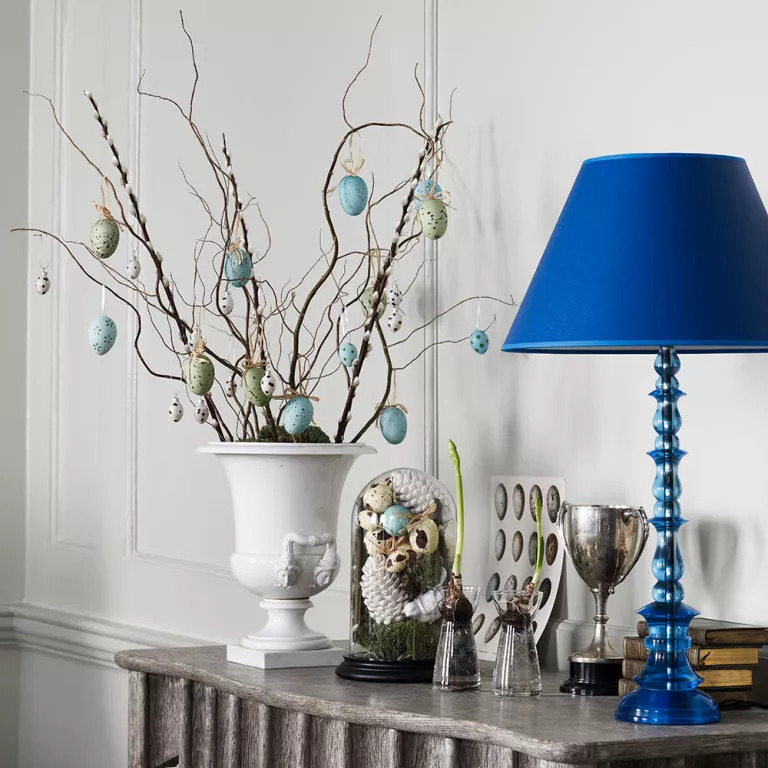 And speaking of displays… Easter isn’t complete without Easter eggs, but this simple and elegant table display – suitable for a subtle dining room centerpiece or a seasonal accent elsewhere in the house – is totally designed friendly and sugar-free to boot! 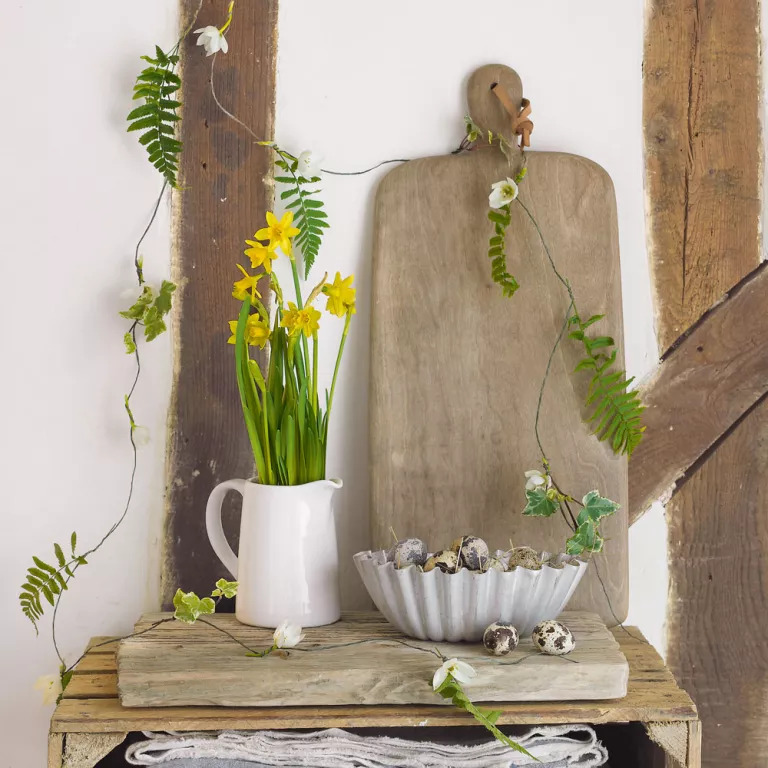 Choose a ceramic design for a modern country look, and carefully layer up a mixture of different eggs to highlight the shells’ delicate textures and patterns. Combined with a backdrop of Scandinavian-influenced tactile linens, crisp white crockery, and naturalistic floral foliage, this neat little piece brings a little magic to a grown-up meal. 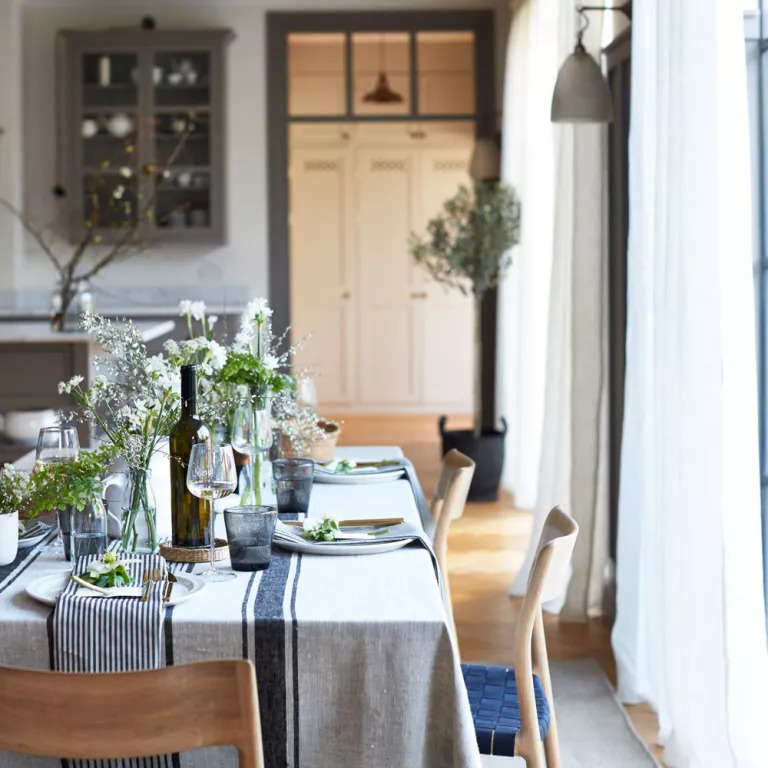 There are so many ways you can dress a tabletop for Easter but this modern country look is pure pared-back elegance. 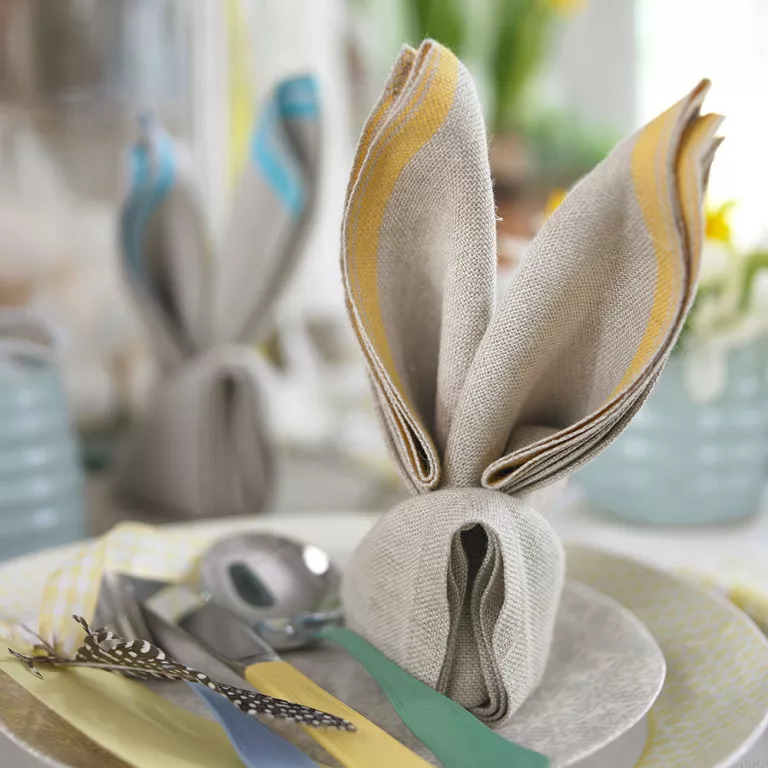 Stepping the Easter theme up a notch, but without going overboard with bunnies, lambs, and ducklings, we’d suggest you dress the table in a similar way to the mood you want to feel over Easter – informal yet stylish, obviously. Add a special touch to place settings with personalized name cards. 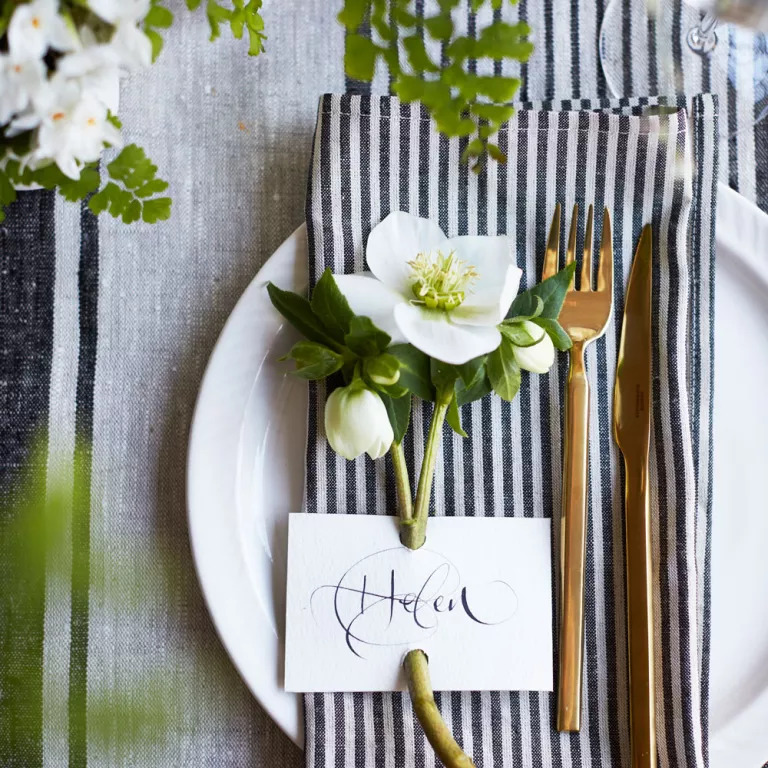 Punch two holes in a plain white card with each guest’s name handwritten in calligraphy upon it, and thread a fresh flower’s stem through for a pretty, welcome to the dining table. Warm-toned cutlery brings an extra dimension to the cool-colored scheme, providing a lovely optimistic glow for the new season… or just that particular meal! While we love the sunny yellow of daffodils, it might not be the best accent color for your home. If monochrome is more your thing, snowdrops are an elegant alternative. 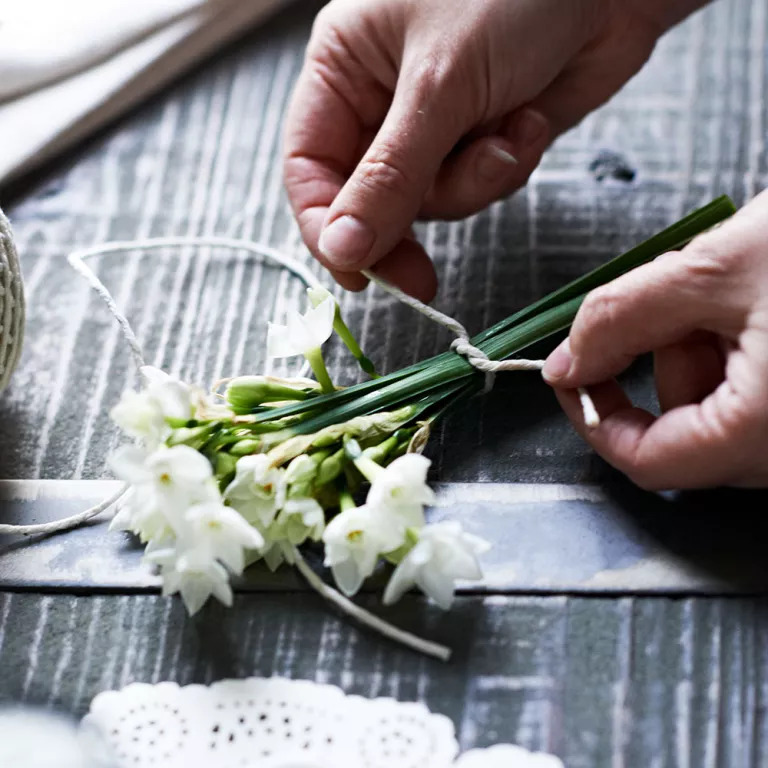 A bunch tied with string make a charming place setting, especially amongst a mixture of plain white china and glassware. Could this Easter buffet spread be any more joyful? 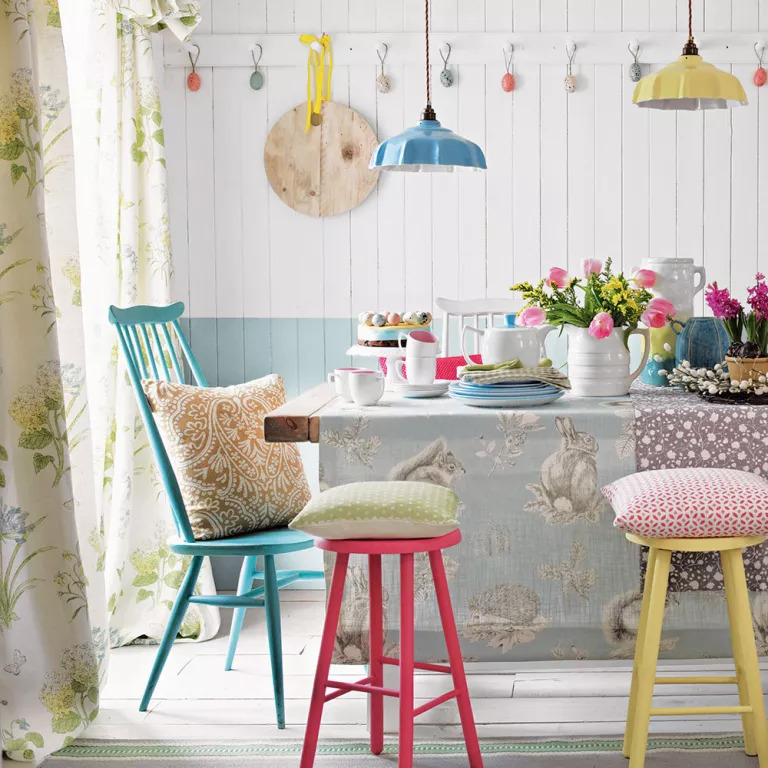 With fresh blues, verdant greens, sunshine yellows and hot pink, this dining room’s rainbow palette of spring colors can’t help but make you smile.